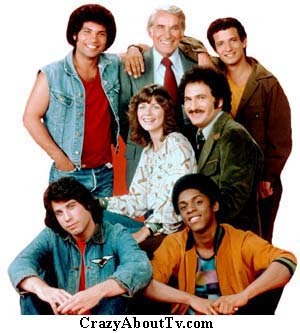 Welcome Back Kotter was a 30 minute comedy series on ABC about a who returned to his old inner city high school to teach a bunch of rowdy teenagers who give him almost nothing but a hard time. That treatment didn't bother Mr. Kotter too much though because he could give back as good as he got and ... on yeah ... he and his students did their antics all in good fun while caring deeply about each other. Thank you for visiting our Welcome Back Kotter page!